Boko Haram insurgents collaborate with Fulani herdsmen, church leader says. JOS, Nigeria (Morning Star News) – Armed Muslim extremists stormed two churches in Taraba state on Sunday (Oct. 19) and killed 31 people as they worshipped, a church leader said. Two pastors, one pastor’s son, and 28 other Christians were slain in the attacks in the villages of Gindin Waya and Sondi, said the Rev. Caleb Ahema, president of the Christian Reformed Church of Christ in Nigeria. 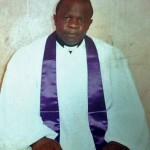 Ahema said the onslaught was the seventh attack on Christian communities in Wukari Local Government Area since February. “The attack on Christians in Taraba state is a planned genocide against Christians by Islamic insurgents who have invaded the southern part of the state, inhabited mostly by Christians, since February,” he said. Ahema said the Muslim extremists, who wore military uniforms, were members of the Islamic extremist group Boko Haram who came from outside the state. Recently insurgents from Boko Haram, based in Borno state, have reportedly joined ethnic Fulani herdsmen in attacks on Christians in Taraba and other northeastern states. Some recent attacks, according to Nigerian press reports, have been carried out by Fulani herdsmen who have become members of Boko Haram, which seeks to impose sharia (Islamic law) throughout Nigeria. While ethnic Fulanis have had longstanding property disputes with Christian farmers, church leaders say attacks on Christian communities by the herdsmen constitute a war “by Islam to eliminate Christianity” in Nigeria. Pastor Useni and the three other Christians slain in Sondi were buried on Monday (Oct. 20), he said. 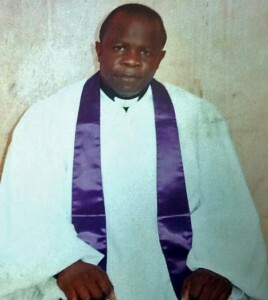 Ahema said the killings have caused excruciating pain for the Reformed Church in Nigeria, and he appealed for the Nigerian government to take steps to stop the blood bath. Islamic extremist insurgents with Boko Haram and others killed 1,631 Christians in Nigeria for their faith in the first six months of 2014 – a figure that is 91 percent of the total Christians killed in the country in all of last year, according to advocacy group Jubilee Campaign. Last year 1,783 Nigerian Christians were killed for their faith, according to Jubilee Campaign. The increase in Christian deaths this year accompanies an increase in the total number of people killed during the period, mainly by Boko Haram – 4,099, which is 975 more than the total deaths from attacks by religious extremists for all of last year, 3,124, according to Jubilee. While Boko Haram (translated as “Western education is a sin”) is the moniker residents of Maiduguri, Borno state gave the insurgents, the group calls itself the Jama’atu Ahlis Sunna Lidda’awati wal–Jihad, translated as “The Congregation of the People of Tradition for Proselytism and Jihad.” The United States designated it as a Foreign Terrorist Organization in November 2013. Earlier this year, well-armed Islamist mercenaries from Niger accompanied ethnic Fulani herdsmen in attacks on eight towns and villages across four local government areas in the southern part of Taraba, Christian leaders told the head of the state chapter of the Christian Association of Nigeria. The assailants also destroyed three church buildings. On July 31 the assailants killed three Christians in their homes in Mayokam, Bali Local Government Area, and one in Danburam, they said. Since March, mercenary-backed, Islamist Fulani herdsmen have killed 30 Christians in Ndo Yakuima, 24 in Bajimba, and 11 in Nayinwa, Tudun Wada and Yamini. In Nwokyon, at least seven Christians were killed. “The government with whom lies the onus to protect the lives and properties of the citizens as provided for in the constitution of the Federal Republic of Nigeria seems to have no interest in these killings and displacement of people, with attending sufferings by women and children especially,” Ahema said.